Virtual Blog Tour: Historical Fiction Author Douglas Carlton Abrams Visits Divine Caroline! Douglas Carlton Abrams, author of the historical fiction novel, THE LOST DIARY OF DON JUAN, will be stopping off today at Divine Caroline on Day 24 of his virtual book tour with Pump Up Your Book Promotion to talk about how to turn your book into a movie! Douglas Carlton Abrams’ magical debut novel captures the heart of the Spanish Golden Age and the secret life of the world’s greatest lover – Don Juan – who came to embody the spirit of desire that would inflame the modern age. You can find out more about Douglas by visiting his website at www.lostdiaryofdonjuan.com. THE LOST DIARY OF DON JUAN VIRTUAL BOOK TOUR ‘08 will officially begin on September 2, 2008 and end on Oct. 30, 2008. You can visit Douglas’ tour stops at www.virtualbooktours.wordpress.com in October to find out more about him and his new book! As a special promotion for all our authors, Pump Up Your Book Promotion is giving away a FREE virtual book tour to a published author with a recent release or a $50 Amazon gift certificate to those not published who comments on our authors’ blog stops. More prizes will be announced as they become available. The winner will be announced on our main blog at www.pumpupyourbookpromotion.wordpress.com on October 30! 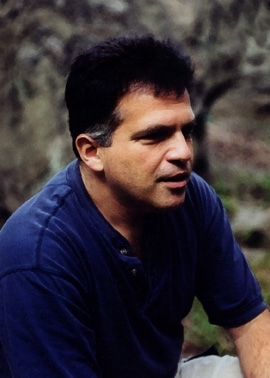 Virtual Publisher Blog Tour: The Story Plant’s Lou Aronica visits The Writer’s Life! Publisher Lou Aronica makes history as being the first publisher on virtual blog tour! Lou is the publisher of the new publishing house, The Story Plant, and their debut book is AMERICAN QUEST by Sienna Skyy who is also touring with us at Pump Up Your Book Promotion in October. Today, Lou will be stopping off at The Writer’s Life to talk about this new publishing house! Stop off at his blog stops throughout October and leave a comment for him to be eligible to win a FREE virtual book tour if you’d a published author or a $50 Amazon gift certificate if you’re not published. If you’d like to follow his tour, visit www.virtualbooktours.wordpress.com. Virtual Blog Tour: Southern Fiction Author J.L. Miles visits Blogcritics & Denyse Bridger’s Fantasy Pages! J.L. Miles, author of the southern fiction novel, COLD ROCK RIVER, will be stopping off at Blogcritics & Denyse Bridger’s Fantasy Pages on Day Four of her virtual book tour with Pump Up Your Book Promotion! In 1963 rural Georgia, with the Vietnam War cranking up, pregnant, seventeen-year-old Adie Jenkins discovers the diary of pregnant, seventeen-year-old Tempe Jordan, a slave girl, circa 1963, with the Civil War well under way. 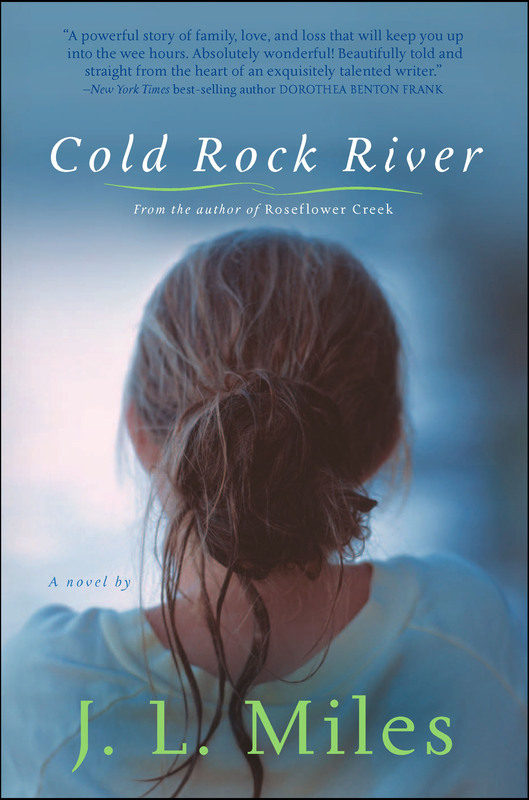 COLD ROCK RIVER VIRTUAL BOOK TOUR ‘08 will officially begin on October 1, 2008 and end on November 26, 2008. You can visit J.L.’s tour stops at www.virtualbooktours.wordpress.com in October to find out more about her and her new book! 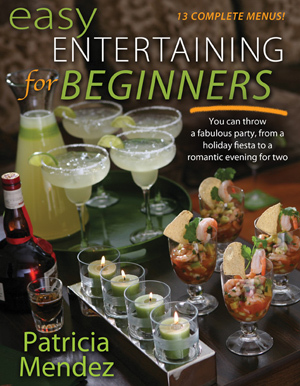 Virtual Book Tour: Entertaining and Cooking Expert Patricia Mendez visits Recipease! Patricia Mendez, author of the entertaining and cooking book, EASY ENTERTAINING FOR BEGINNERS, will be stopping off at Recipease today on Day Four of her virtual book tour with Pump Up Your Book Promotion! Readers don’t have to be gourmet chefs or nervous wrecks to host casual at-home entertaining. Beginners will have all of their questions answered, from what to serve to what to do. EASY ENTERTAINING FOR BEGINNERS VIRTUAL BOOK TOUR ‘08 will officially begin on October 1, 2008 and end on Oct. 30, 2008. You can visit Patricia’s tour stops at www.virtualbooktours.wordpress.com in October to find out more about her and her new book! Virtual Blog Tour: Thriller Author Cody McFadyen visits Fiction Scribe! Cody McFadyen, author of the thriller, THE DARKER SIDE, will be stopping off at Fiction Scribe on Day Four of his virtual book tour with Pump Up Your Book Promotion today! Brilliant, merciless, righteous, the killer Smoky is hunting this time is on his own personal mission, whose cost in innocent human lives he’s only begun to collect. For in his eyes no one is innocent; everyone harbors a secret sin, including Smoky Barrett. 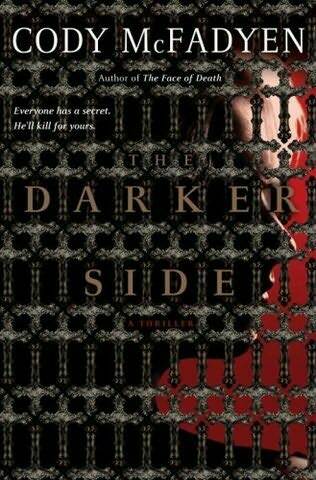 THE DARKER SIDE VIRTUAL BOOK TOUR ‘08 will officially begin on October 1, 2008 and end on Oct. 30, 2008. You can visit Cody’s tour stops at www.virtualbooktours.wordpress.com in October to find out more about him and his new book! Virtual Book Tour: Humor/Satire Author James Earle McCracken visits Book Excerpts from Bestselling Authors! James Earle McCracken, author of the humor/satire RUE DE LA POMPE: A SATIRIC URBAN FANTASY will be stopping off at Book Excerpts from Bestselling Authors on Day Four of his virtual book tour with Pump Up Your Book Promotion! Unforgettable characters and vivacious details make James Earle McCracken’s debut novel sizzle with expectation. 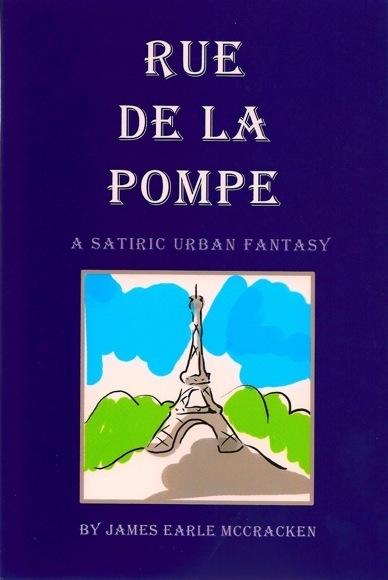 Both hilarious and introspective, Rue de la Pompe is a fast-paced ride through the City of Lights with a hapless American who is caught in an exhilarating journey of discovery. RUE DE LA POMPE VIRTUAL BOOK TOUR ‘08 will officially begin on October 1, 2008 and end on Oct. 30, 2008. You can visit James’ tour stops at www.virtualbooktours.wordpress.com in October to find out more about him and his new book! Virtual Blog Tour: Horror Writer Joel M. Andre Visits American Chronicle! Joel M. Andre, author of the horror novel, KILL 4 ME, will be stopping off at American Chronicle on Day Four of his virtual book tour with Pump Up Your Book Promotion! KILL 4 ME is a technological thriller set in rural America following Casey Dwyer, a small town girl who becomes caught in a spirit’s unrelenting quest for vengeance after she receives a cryptic and seemingly harmless text message. 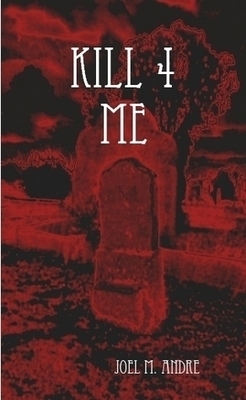 KILL 4 ME VIRTUAL BOOK TOUR ‘08 will officially begin on October 1, 2008 and end on Oct. 30, 2008. You can visit Joel’s tour stops at www.virtualbooktours.wordpress.com in October to find out more about him and his new book!